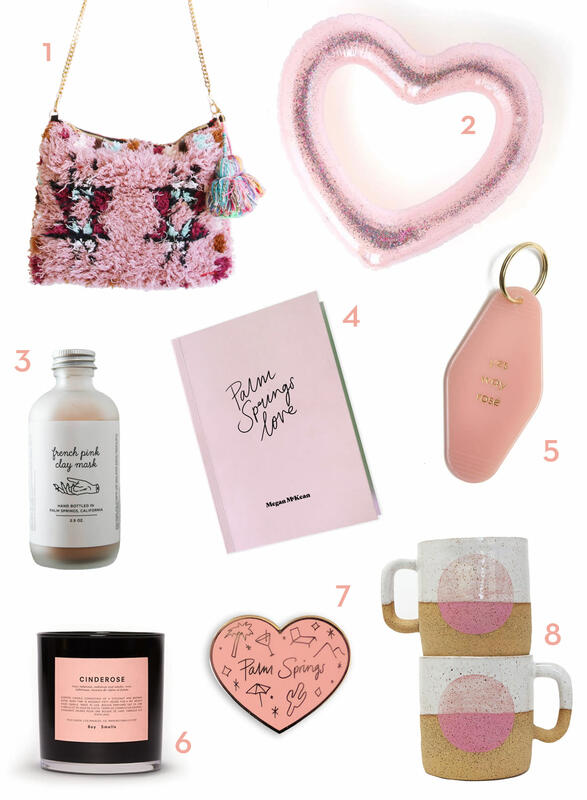 It’s that time of year again, and we’ve rounded up the sweetest Valentine’s Day gift ideas and shopping destinations throughout Greater Palm Springs! 1. Soukie Modern bag made from vintage Moroccan textiles, available at The Shops at Thirteen Forty Five in Palm Springs. The Shops at Thirteen Forty Five is a one-stop shop for 14 stores and galleries under the same roof, and the building is even pink so you can get that perfect V-day selfie while you&apos;re there! 2. Glitter-filled float at (our store!) Palm Springs Style in The Shops at Thirteen Forty Five. 3. French Pink Clay Mark at Thick As Thieves in Palm Springs, which is a favorite local spot for gifts and small décor items. 4. Palm Springs Love book by McKean Studio at Palm Springs Style in The Shops at Thirteen Forty Five, available as part of our special &apos;Palm Springs Love&apos; pop-up art show during Modernism Week 2019 (February 14-24, 2019). 5. Yes Way Rosé keychain at Palm Springs Style in The Shops at Thirteen Forty Five. 6. Boy Smells Cinderose candle at h2o closet, which is an awesome apothecary shop with locations in Palm Springs and Old Town La Quinta. 7. Palm Springs pin by McKean Studio at Palm Springs Style, also available as part of our &apos;Palm Springs Love&apos; pop-up during Modernism Week. 8. Pink dot mugs by Double M Pottery in The Shops at Thirteen Forty Five -- if you&apos;re not into pink, there are a number of other colors and also great little pots perfect for cacti and succulents. There are some talented local jewelry designers creating unique pieces, such as Respect the Chief and Sierra Keylin. If you’re going the fine jewelry route, there are a number of jewelers featuring beautiful collections on El Paseo in Palm Desert, including The Jewelry Bar, Leeds & Son and El Paseo Jewelers. While you’re there you’ll pass a sculpture with major Valentine’s Day vibes -- “Stranded Heart” by John and Nico Meyer. For clothing and accessories with local flair, a few of our don’t miss spots include: Trina Turk and Mr Turk, with locations in Palm Springs and Palm Desert; Candice Held, with locations in Palm Springs and Palm Desert; Wil Stiles in Palm Springs; and Elizabeth & Prince in Palm Springs, Palm Desert and La Quinta. 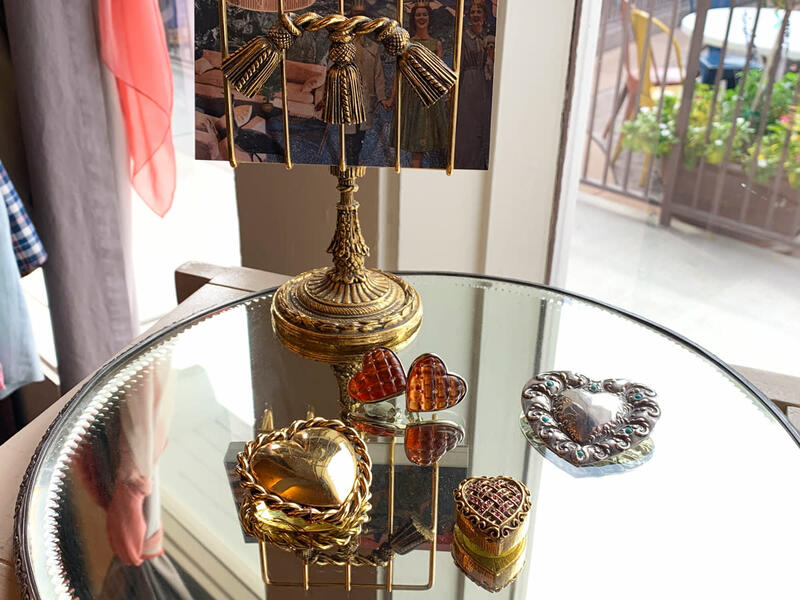 Greater Palm Springs has some pretty amazing vintage shopping, and selecting a vintage gift is a great way to avoid the cookie-cutter, expected choices. For vintage clothing and jewelry, a few favorites are The Fine Art of Design in Palm Desert and The Frippery in Palm Springs. Lindy in The Shops at Thirteen Forty Five and Flow Modern also feature great collections of vintage jewelry. For vintage decorative items and housewares like midcentury cocktail glasses, check out Towne in The Shops at Thirteen Forty Five, Spaces, Dazzles and Flow Modern, and Bon Vivant in the Uptown Design District of Palm Springs has an impressive collection of vintage glass vases and art objects. The Palm Springs Vintage Market, held on the first Sunday of the month from October through May, is a great place to hunt for vintage treasures, and during February there are actually two markets – Sunday, Feb. 3, and a special market during Modernism Week on Sunday, Feb. 17. 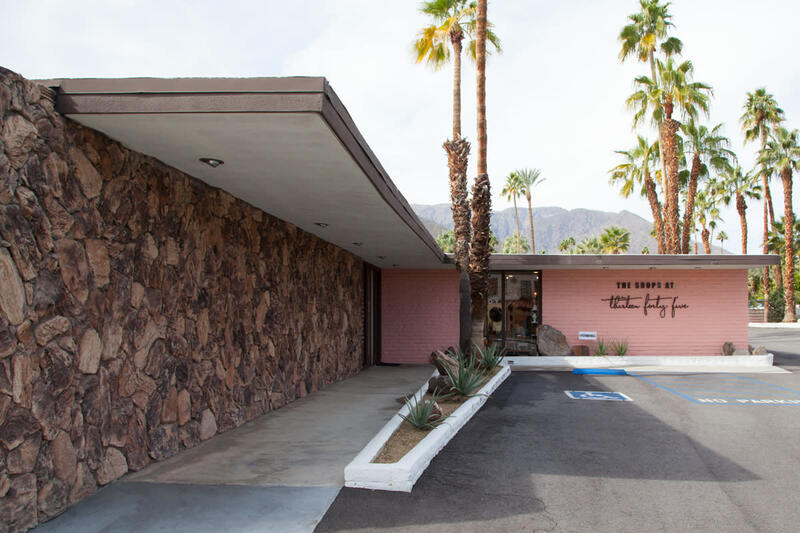 For more vintage ideas, check out our full Greater Palm Springs Vintage Shopping Guide! 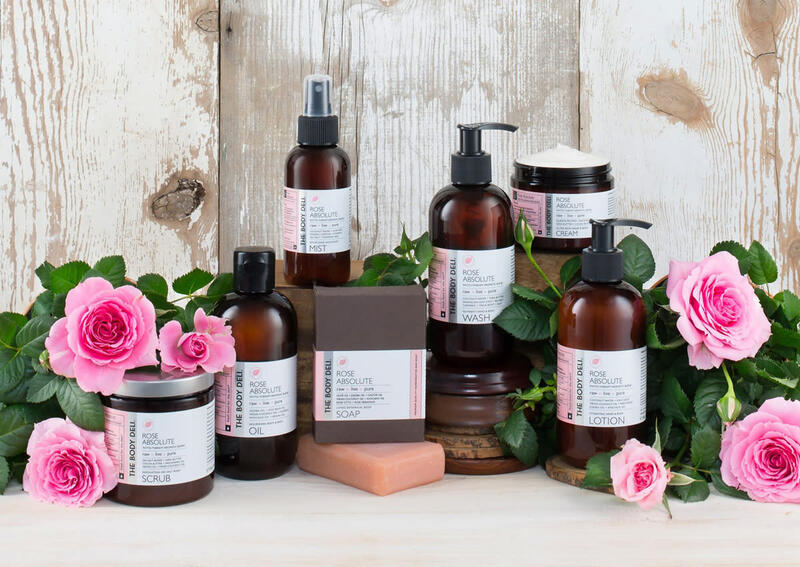 The Body Deli is a local company based in Palm Desert that produces organic skin, hair and body care products, and we think their Rose Absolute Collection would make a great gift! Got a sweetheart who loves books, stationery and other papery things? Try Just Fabulous, Peepa’s and Palm Springs Style (our store!). For midcentury-inspired gift items and home décor, some great spots to visit include H3K Home, Pelago and Christopher Kennedy. 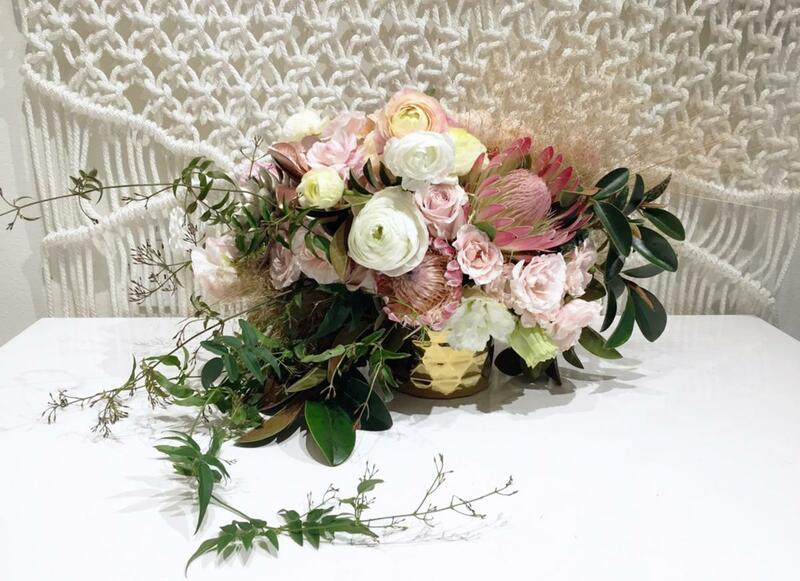 For beautiful floral arrangements in Greater Palm Springs, we love My Little Flower Shop, Palm Springs Florist, Rancho Mirage Florist and Arrangements Floral Design. Go the less expected route and choose something other than roses – maybe even potted cacti or succulents! For all things cactus, be sure to check out Moorten Botanical Garden, Mariscal Cactus & Succulents and The Backyard in The Shops at Thirteen Forty Five. What’s better than a delicious pizza? A delicious heart-shaped pizza! 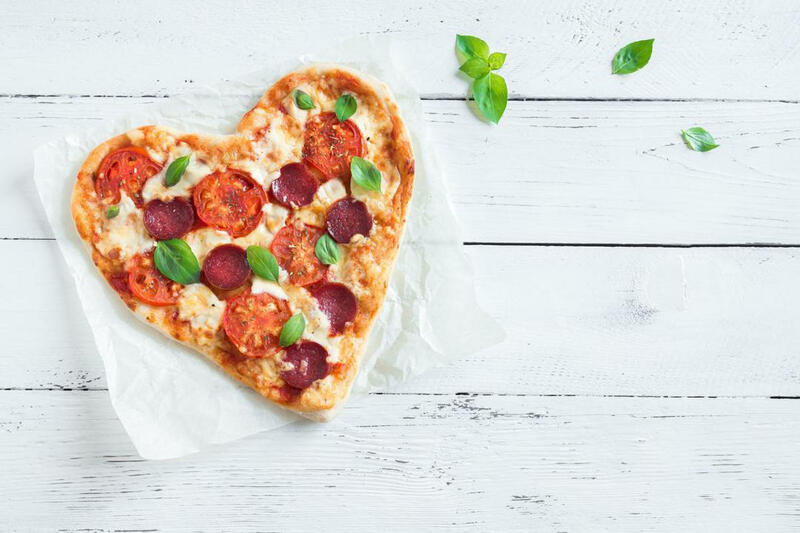 Sammy’s Woodfired Pizza & Grill in Palm Desert is offering a gourmet-to-go heart-shaped pizza kit during the month of February, both to celebrate Valentine’s Day and to raise money for the American Heart Association. Looking for something sweet? 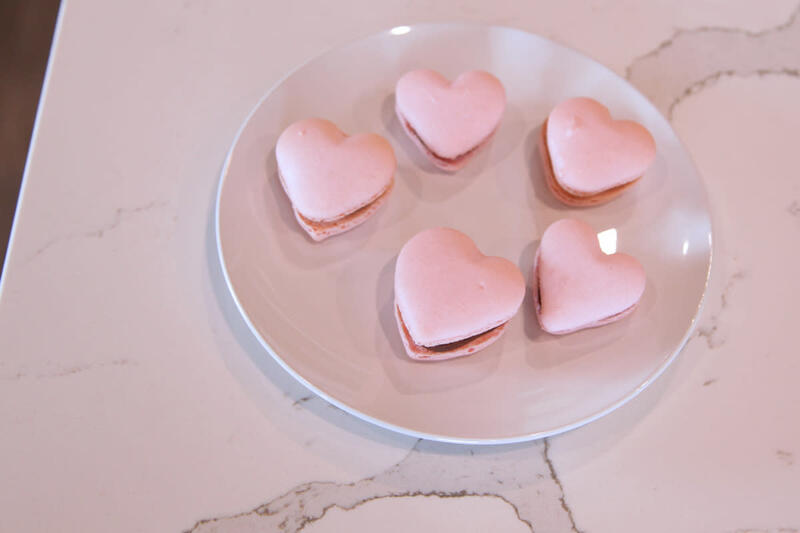 Try the Valentine’s Day-inspired treats at Heirloom Craft Kitchen in Indio, Tiffany&apos;s Sweet Spot in La Quinta and Over the Rainbow Desserts in Palm Springs. We also love the locally-made toffee at Brandini Toffee. Into experiences rather than tangible items? 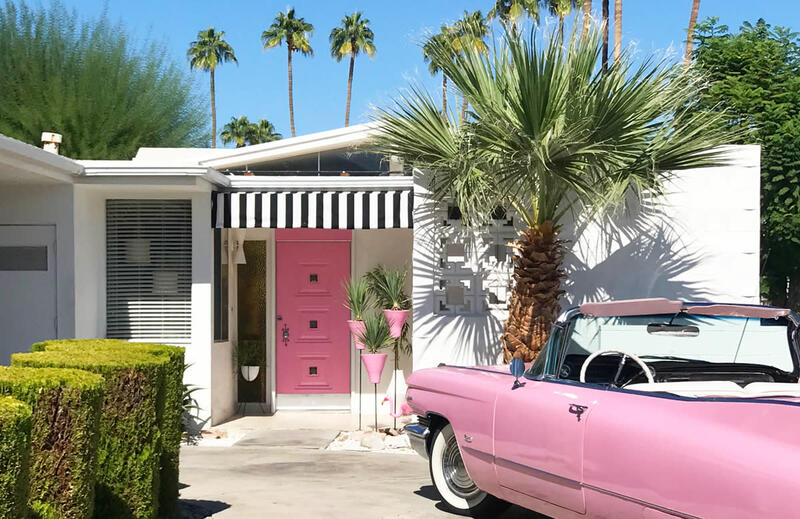 Modernism Week is coming up and there are so many great events that any architecture and design-lover would enjoy. The first day of Modernism Week happens to fall on Valentine’s Day this year, featuring a “Modern Love” cocktail party. We may be biased, but we think our Palm Springs Door Tour would also make a fun day-date with your sweetheart! 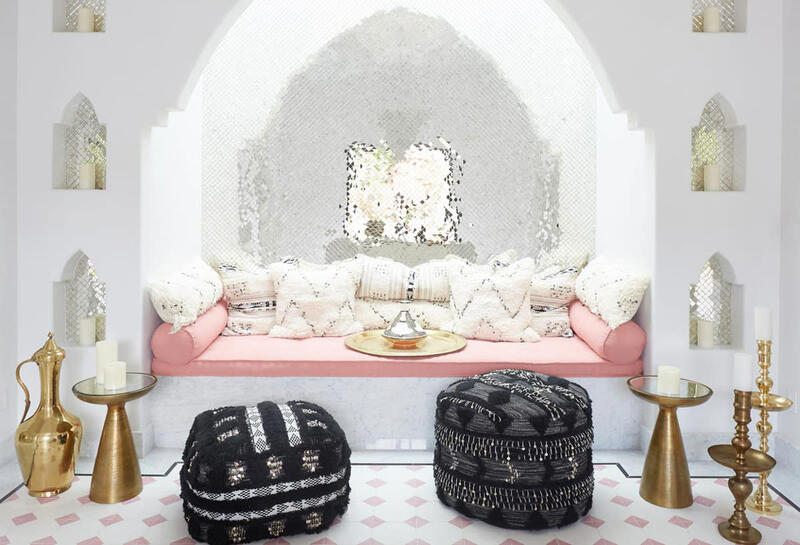 Anyone would love a trip to the hot mineral waters at the Desert Hot Springs day spas (we particularly love Two Bunch Palms and The Spring), or a luxurious treatment at the beautiful Moroccan-inspired spa at the Sands Hotel & Spa in Indian Wells. For art lovers, a membership to the Palm Springs Art Museum, with three locations (Palm Springs, Palm Desert and the Architecture and Design Center in Palm Springs), is a great gift that keeps on giving all year. Happy shopping and happy Valentine’s Day! 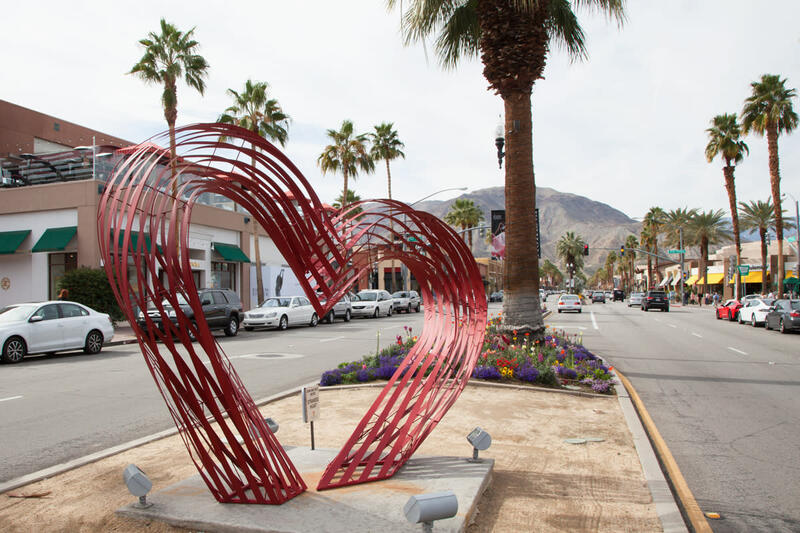 If you&apos;re looking for places to celebrate in the oasis, check out Valentine&apos;s Day Happenings in Greater Palm Springs.